Thanks again for the challenging prompts. I love this image. I want a print! 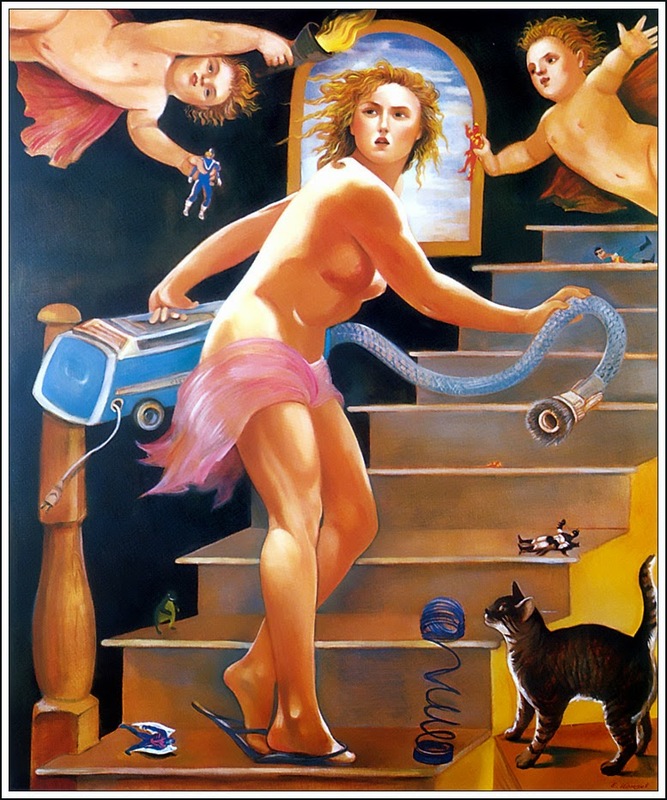 I looked for more art by Edith Vonnegut. So much great stuff! THANK YOU! Mine's up. If the link breaks tomorrow, it's because my domain name is expiring, trying to figure out how to renew it without a bank account, lol. But it'll come back. oh hahah where do you find these images! Love it! Cheers! Well, I managed a very, very short Mag on the day it went up! Wow! Not a literary piece by any means but might bring a smile! Ah of course, she's one truly engaging artist with so much artsy flair! I love this prompt! It gave me my idea immediately the image is amazing! TMI maybe, but it was fun. Can't believe its been 7 months since I was last here. Back for keeps now, thank God! Nice to know the gang are still here! Joy, joy! A bit of fun! This blog is dedicated to the enjoyment of poets and writers, for the purpose of honing their craft, sharing it with like-minded bloggers, and keeping their muses alive and well. 1) Write a poem or short vignette using the picture featured in this post as your inspiration. Feel free to take the image to use for your post. 2) Link back to Magpie Tales from your post. 3) Sign up in the Mr. Linky list, linking directly to your post, after you've posted.